Fall is a great time to get an oil change and maintain your car for the upcoming cold winter season. 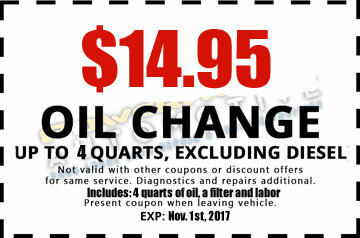 Get an oil change, for a limited-time only. The cost is only $14.95 (+tax) and includes up to 4 quarts of oil, a filter and labor. This is our back-to-school, fall special that is offered at Jefferson Auto Repair in West Orange, NJ. So, come and get it while you can. This fall oil special won’t last long because this it expires Nov 1st 2017. Is this a great deal or what? This fall oil special is a huge deal. Some people say it’s remarkable. Where else can you get a deal like this? So, make sure to tell all your friends, family, and associates about this great offer at Jefferson Auto Repair in West Orange, NJ. 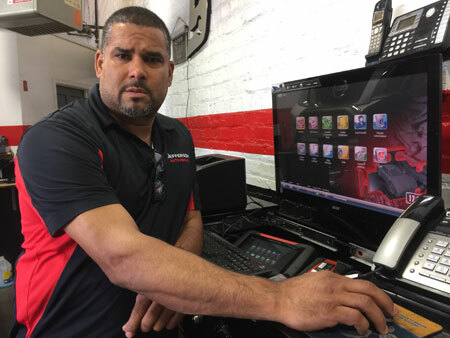 Meet Juan Puello, he is the owner and founder of Jefferson Auto Repair in West Orange, NJ. He got started in auto repair because he liked to repair cars and troubleshoot problems. He then later discovered he enjoyed helping customers, too. He started at the age of thirteen. From the start, he liked the challenge of diagnosing automobiles and checking that everything was running great. Juan is a really nice guy who will take good care of all his customers and make certain that they leave his place knowing that they got everything that they needed done on their car. An important time for getting an oil change for your car is during back-to-school time. You don’t want to get stuck and disabled with your kids in the car. Our auto mechanics at Jefferson Auto Repair will make sure that your car runs properly. Depending on what kind of oil change that you need for your car. 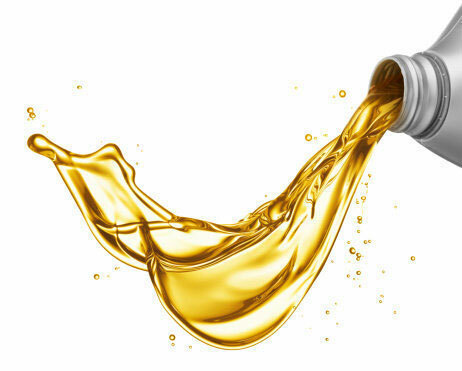 Our oil changing mechanics at Jefferson Auto will find the perfect oil that is perfect for your car. We would like to wish everyone a Happy Labor Day weekend! On special events like this, many people are traveling far distance. Unexpected breakdowns can happen at any time and that’s when we come in. 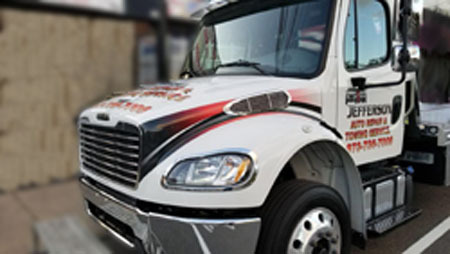 We offer reliable and rapid towing services here at Jefferson Auto Repair in West Orange, NJ. So if your car breakdowns unexpectedly, then our auto mechanics at Jefferson Auto Repair will come out with our flat bed towing truck to your location. 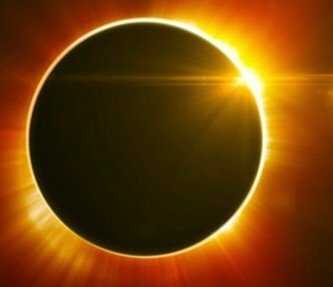 If you think this years solar eclipse was a great deal, then come to Jefferson Auto Repair in West Orange, NJ were the auto mechanics will give you great deals on auto repair services or anything that you need for your car and more. The wonderful auto mechanics at Jefferson Auto Repair will give you awesome deals at a great price so you can get the deals you need for your car. And the auto mechanics will make sure that whatever you get with those great deals that it would be just as great as the solar eclipse. Do you need fleet vehicles repaired? Then, come to Jefferson Auto Repair.